Why: Contrary to what detractors might say, The Dead did make top-flight albums, and wrote songs as durable as the most timeless folk standards. 1970’s American Beauty boasts probably the most consistently great song selection of any Dead album, but its mellow, concise country-rock sound isn’t wholly representative of the band’s aesthetic, which is generally looser and more freewheeling. A more fitting introduction to the Dead aesthetic is the triple live album (or double CD) Europe ’72, which presents the band arguably at the height of its onstage powers. Critics often accuse The Dead of directionless jamming, but there isn’t a wasted tangent here, and newbies may be shocked by how genuinely mind-blowing the climactic “Morning Dew” is on the second disc. Next steps: Like Europe ’72, 1971’s The Grateful Dead is a live album that debuts several excellent original songs, including “Bertha” and the dreamy “Wharf Rat.” The Grateful Dead also shows off the band’s range of influences, with covers of songs by Merle Haggard, Jimmy Reed, and Buddy Holly. American Beauty, of course, is a must, as is its predecessor, Workingman’s Dead, which together present the Dead at its most accessible. 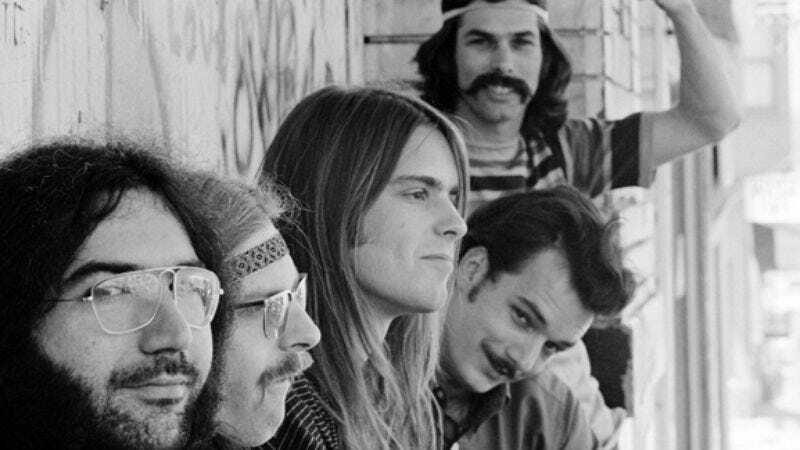 Dennis McNally’s fine biography A Long, Strange Trip: The Inside History Of The Grateful Dead does a good job of justifying the band’s importance, and explaining how it fits into the overall history of the American counterculture. Where not to start: A Grateful Dead tribute show. Appreciating The Dead requires getting beyond the obnoxious hippie baggage associated with the band, and tribute shows tend to be an excuse for smelly yahoos to shake their ponytails in each other’s faces. They’ll make you quit before you even begin.